Claire Del introduced me to yoga. I was 17, fresh out of 7th form (year 13 for you currently young folk), living in my first flat on Peel Street, Grey Lynn, Auckland. I was working at the freshly opened Mikano as a waitress and doing adult ballet classes in a Mt Eden church hall with the almighty Tim Gordon, among other things. Those early days went on to win me a pair of Bodha leggings in a Auckland Yoga Academy competition. The facebook competition asked entries to tell their ‘first experience’ of yoga story…Mine went something like this. I remember when Auckland Yoga Academy stood above ‘The Box’ and ‘Cause Celebre’ on High Street. One climbed up the stairs to sweat and yoga, the other down, to sweat and score. That virgin yoga experience I walked into a small room with lots of wood, and the smell of hot building bodies. There were men, there were women and that ouija breathing (which kinda freaked me out). Peter described it as breathing like darth vadar, or a gentle snore, and walked round cocking his ear to our profiles for the tone. The bodies seemed uncomfortably (to me) but comfortably (to them) close to one another. It was powerful, it was beautiful, it was hard – that class in the 90s above those clubs underground. Sometimes we’d feel techno pulsing up beneath our soles. A cleaner? A DJ keen to get prepped. It was hot. It was cool. Practicing yoga on high street in my teens. There was a terrific bright orange juice bar I’d frequent after a morning class, down an alley across from Alfies – the teen nightclub. Jungle something? I was in love with the dark, mysterious, cafe boy/man. His facial hair, green eyes and complete disinterest in me held me captive. That first Ashtanga class with my tall, dancing friend from Waihi, repulsed me. Or my ego? I wimped into the Iyengar class, to the gentler pace, and all women attendees. My mind would wander back into that wooden snoring room. It would dwell on the difficulty, the pace, my embarrassment. I now laugh on the inside that I perceived it this way. For, 2 years later, having moved to Wellington for Drama School I started practicing with Gwendoline and her quirky (for a mature woman) chestnut mullet. Ashtanga felt decidedly do-able seemingly suddenly. How derailing perception can be? My body hadn’t changed, but in those 3 years I had become more resilient as a person. My initiation had begun. I have tried Bikram, but was perturbed by the people desperate to leave that dripping room and my watering kneecaps. I have tried Vinyasa, but the perfectionist in me gets irritated when I have to strain my neck within a posture to see the next move, in order to get ‘it right’. This however has made me realise being a yoga teacher is not all about loving, to move the body. 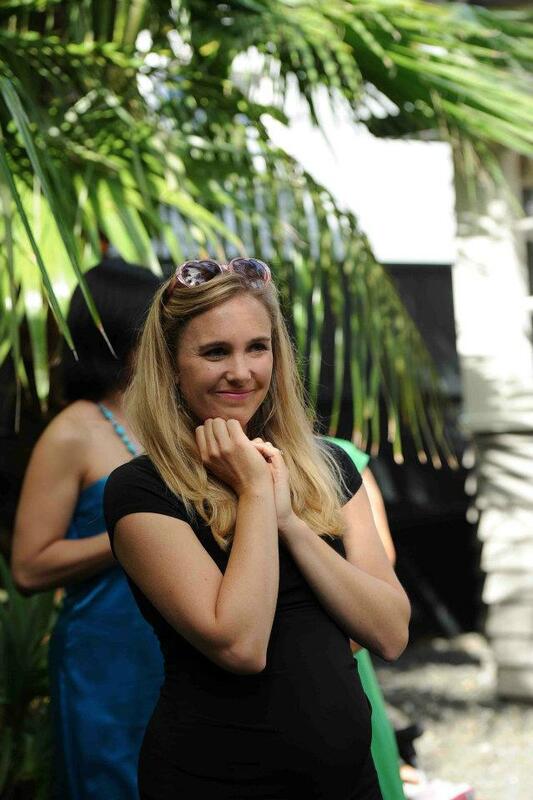 Being a yoga teacher is an invitation to enjoy to speak, to sound. What a teacher says, how they describe what to do, the tempo of their ‘script’, the words that pepper through, the conviction, the flow, them being able to image the student’s movement in their (the teacher’s) mind and transpose this into word for students to follow easily. This is an opportunity for all teachers. This is what makes a vinyasa class flow. I love that i can practice it alone, together with people. If I was kind I’d try and explain the difference between a Mysore style class and an Ashtanga led class? But I really want to whip up and what’s on September story tonight too. It’s all perfect all of it – this life. That terror of that initial Ashtanga class pushed me into Iyengar / Hatha where there was the space and suspension of time to become familiar with yoga postures. I got to know them in my body. Their Sanskrit/English names. Their benefits. When I introduce people to Yoga I suggest they start with an Iyengar/Hatha class to do exactly this. To try yoga on. I did Paul Scriven’s Mysore style class this month. It’s above the cross-fit ‘stadium’ next to Brewers Bar on Hull Rd, Mt Maunganui. Don’t do what I did and come through the front door so many advanced practitioners look at you, and have to shift their mat for you to cringe on by. Walk all the way into the entrance (as if you’re heading to get cross and fit) Oooh – naughty me. Then hang a right, skip past the changing rooms and up the stairs. This is the entrance – where you take off your shoes etc. Kind, down-to-earth, encouraging and approachable. It was a radiant return to Ashtanga Yoga (after having 3 babies in 6 years). And my body remembered the sequence. Okay so you’ve squeezed it out of me. Ashtanga is a sequence. One learns the moves, like a choreographed dance. As a beginner it’s more logical to attend a led-class, where the teacher stands at the front of the room and both demonstrates and talks through the sequence, whilst adjusting you if necessary. As you get more ace at Ashtanga you progress from the ‘primary’ series on wards. And it can get very advanced and impressive, from an observers perspective. Google stalk Ashtanga demonstrations – it is intoxicating. As gob-smacking as a circus act. It’s the individualism and autonomy of Ashtanga that I love. 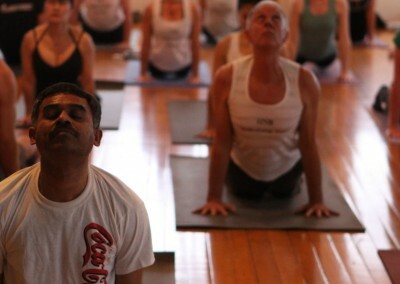 I eventually returned to Peter’s led Ashtanga class at the Auckland Yoga Academy. I practiced with his team for about 4 years before I had the daring to try a Mysore class. Now I prefer Mysore. I move at my pace. I share the room with other yogis and yoginis (some beginners, some advanced and everything in between). There are two teachers in the room, who walk around adjusting ‘students’ or help them get deeper into, or unravel out of, a pose. Paul gives caring encouragement too, which is another benefit of heading to class rather than attempting yoga in the lounge. 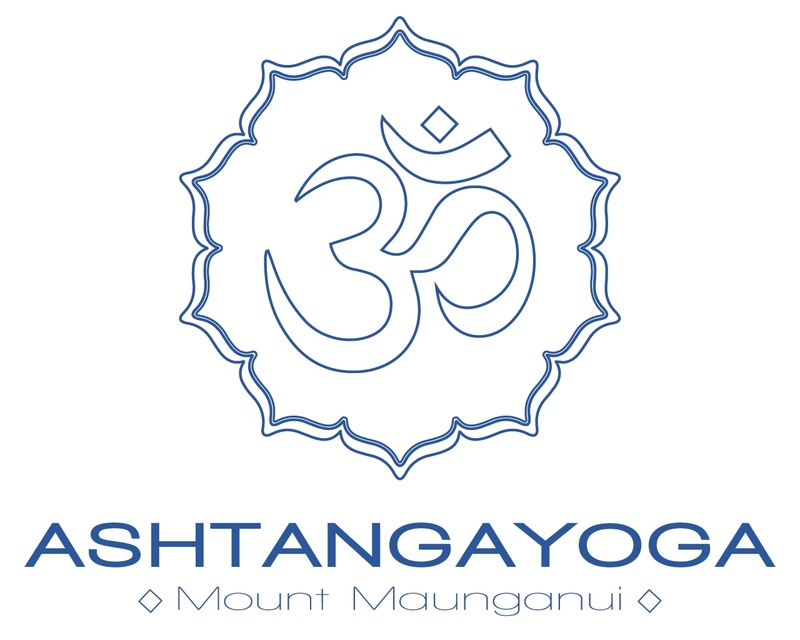 I felt free after 1 hour with Paul at Ashtanga Yoga Mt Maunganui. My body was moving with more fluidity, my mind felt clear and calm, and I felt joyful. Paul is giving a 1 hour led Ashtanga class on Sunday in a little YOGA festival. 18-20 September 2015. Mt Maunganui. Good read and happy to read about the mount Ashtanga studio. I just arrived and will be here on and off the next 3 months. Excited to practice Mysore in a new studio and Paul sounds very good.